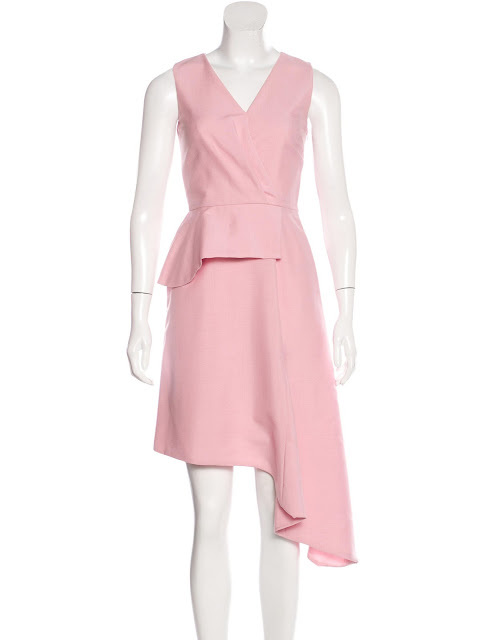 So I recently came across a few pieces from Princess Charlene's wardrobe that you can shop. So every day, I'll be sharing a few of these pieces with you. The first piece is the blue Christian Dior dress we've discussed before. The exact dress retailed for 380 USD and is now sold out on The Real Real. However, the pink version is available for 795 USD and you can buy it from HERE. Do you prefer the pink version of the blue one? For me, pink wins!